Connells have just listed this property on Fernie Avenue. This is a great area as it is close to town but not a cut through for traffic and very quiet.There is residents parking only so it is easy to park outside your house. Its on for sale at £90,000 and is in need of refurbishment. Even if you spent £20,000 on this property and let it for £525 pcm you would be looking at a potential return of 5.7%. In the current market you could achieve a rent of £550 pcm. Are ‘would be’ Melton Mowbray homeowners warming to the idea of renting? I was reading a report the other day produced by the Halifax, about the UK property market and why more and more of the younger generation seem to be renting rather than buying. I find it fascinating that over the last ten years, the British obsession of buying a house almost as soon as you left school, and the fact that if you rented you were seen as a second class citizen, has turned on its head. Now it seems at the point where the hopes and dreams to own a nice home will be replaced by the ambition simply to live in one. In the latter half of the 20th Century, you left school, got a job, bought a small house and kept buying and selling property, constantly upgrading until eventually they carried you out in a box. However, the perceived shame and stigma of renting is no longer the case, as it seems that the British are now beginning to accept a lifetime of renting. This is a very important consideration for both Melton Mowbray homeowners and Melton Mowbray landlords as it will transform the way the Melton Mowbray property ladder looks in the future and I might ask whether or not it will exist at all for some people? The make up of households is one important factor, especially in the Melton Mowbray property market. The normal stereotypical married couple, two kids and dog of the 1970’s and 80’s has changed. More and more we have the need for larger houses where two families come together after divorces (+ kids) and need a property to house everyone through to an increase in the number of one person households. Looking at the data for Melton Mowbray, of the 2,738 private rental properties in the Melton District Council area, 33.56% of those rented properties are one person households (919 properties). However, when we compare the number of one person Melton Mowbray households who have bought their own property with a mortgage (ie therefore they are still in work), of the 15,498 owner occupied households in the area, only 1,165 of those properties are a one person household (ie 7.52%). Compared to a decade ago, this explosion in demand for decent high quality rental properties that one person households require has not been met with an increase in supply of such properties. More and more I believe Melton Mowbray landlords need to consider this change in the make up of Melton Mowbray households, as I believe this could be an opportunity. As an aside, another interesting stat that raised an eyebrow was that 12.89% of those 2,738 rental properties (353 properties) are lone parents households as well. Again, another possible opportunity that Melton Mowbray landlords might want to consider in their future investment plans. It is true that the Governments introduction in 2013 of the Help to Buy scheme, where first time buyers only needed a 5% deposit, changed the perception of peoples’ ability to buy without having to save ten’s of thousands of pounds for a deposit. However, it might surprise you, 95% mortgages were re-introduced within six months of the Credit Crunch in late 2009, so again it comes down to people’s own perception. Many youngsters think they won’t get a mortgage, so don’t even bother trying. Coming back to the deposit, it’s still a fact that once you start renting it becomes that much harder to save for a deposit, regardless of the size. Interestingly, 7 out of 8 renters polled by the Halifax (86% to be exact) refuse to sacrifice the quality of accommodation they currently live in to reduce the amount of rent they pay in order to save for a deposit. This is the crux and the real reason why people aren’t buying but renting... and why demand for renting will continue to grow in the future (ie good news for landlords). Melton Mowbray tenants can upgrade the quality and size of the property they live in for a minimal rent increase. The average rent of a two bed property in Melton Mowbray is £461pm, but a three bed is only £156pm more at £617pm, whilst the average four bed rent is £636pm. If you had to make that jump when buying, the monthly mortgage payments would be stratospherically more than that! Without any social pressure and better quality rental properties compared to a decade ago, we will become a nation of renters within the next generation, as the UK is becoming more like Europe, where renting is ‘the norm’. Who is going to supply all these properties to rent? Landlords! Whether you are an existing landlord looking to grow your portfolio or looking to become a ‘first time landlord’, my thoughts are take advice from as many people as possible. However, as the majority of landlords buy their buy to let properties in the same town they live, you will need specific advice about Melton Mowbray itself. Please come and see me in my Melton Mowbray office on Burton Street or give me a call on 01664 569700. This property is on the market with Shoulers for £134,995. 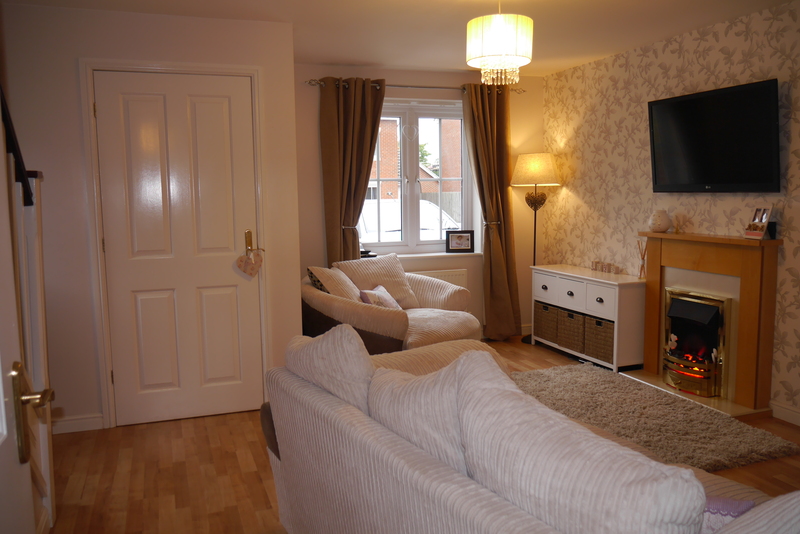 It is a popular development and has an allocated parking space. These two bedroom houses are modern and popular with tenants and usually let for around £550 pcm which if purchased for the asking price would provide a 4.8% return. Why are less Melton Mowbray people moving house? During my school years, my parents seemed to move every other year (or it seemed that way). In reality, looking back at the house moves, we actually moved three times before I left home. However, whilst my parents kept the removal van people in business whilst I was at school, from research I have carried out it shows things have changed considerably in Melton Mowbray over the last few decades, and interestingly, the trend is getting worse ... for the removal van people at any rate! In Melton Mowbray, there are 11,613 properties. However, after we remove the 1,614 council houses, 1,533 privately rented houses and 101 houses where the occupants live rent free, that leaves us with 8,365 owned properties (be that 100% outright, with a mortgage or shared ownership). This means 72% of the properties in Melton Mowbray are occupied by the owner (the national average is interestingly 64.2%) but the number of people who have sold and moved house in Melton Mowbray, over the last 12 months, has only been 627. This means on these figures, the homeowners of Melton Mowbray are only moving on average every 13.34 years. These are the reasons. Firstly, the cost of moving house has risen over the last twenty years. Secondly, with many remortgaging their properties in the mid 2000’s before the price crash of 2008, there is a reluctance or inability in a small minority of homeowners to finance a home sale/purchase, due to lack of equity. These are both factors driving fewer moves by existing homeowners. However, the big effect has been the change in house price inflation. Back in the 1970’s and 1980’s, house prices were doubling every 5 to 7 years. Even in Greater London, with its stratospheric property price increases over the last few years, it has taken 13 years (August 2002 to be exact) for property values to double to today’s levels. 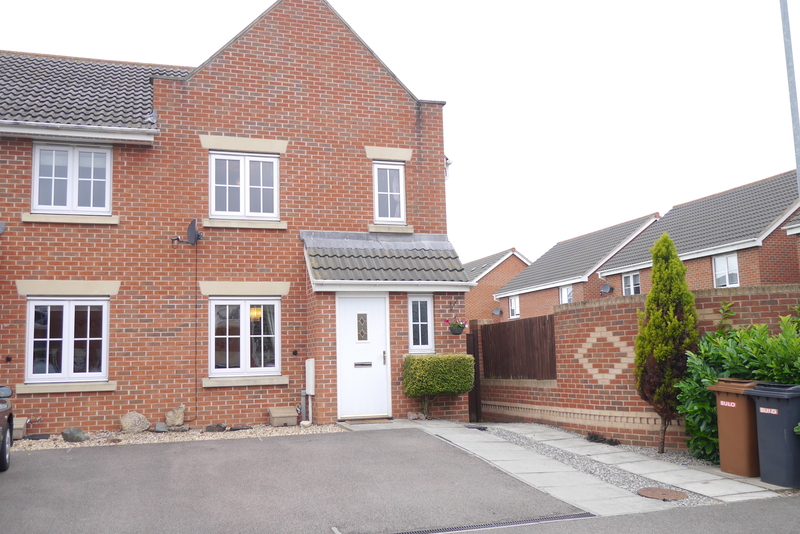 This change to a relatively low inflation Melton Mowbray property market (i.e. Melton Mowbray property values not rising quickly) is significant because the long term consequences of sustained low house price growth is that it eats into mortgage debt more slowly than when property price inflation is higher. Melton Mowbray homeowners cannot rely on inflation to shrink their debt in real terms as much as they did in say the 1970’s and 1980’s. So what does this all mean for Melton Mowbray buy to let landlords? Well for the same reasons existing Melton Mowbray homeowners aren’t moving, less ‘twenty something’s’ are buying their first home as well. Melton Mowbray youngsters may aspire to own their own home, but without the social pressure from their peers and parents to buy their first property as soon people reach their early 20’s, the memory of the 2008 housing crisis and the belief the hard times either aren't over or the worst is yet to come, current and would-be homeowners are warming to the idea of renting. I also believe UK society has changed, with the youngster’s wanting prosperity and happiness; but wanting it all now... instantly... today... without the sacrifice, work and patience that these things take. As a society, we expect things instantly, and if it doesn’t come easy, doesn’t come quick, some youngsters ask if it is really worth the effort to save for the deposit? Why go without holidays, the newest iPhone, socialising four times a week and the fancy satellite package for a couple of years, to save for that 5% deposit if there is no longer a social stigma in renting or pressure to buy as there was... say... a generation ago? Even though, in real terms, property prices are 5% cheaper than they were ten years ago (when adjusted by inflation), 13.2% of Melton Mowbray properties are privately rented (nearly double it was twenty years ago). As a result, the demand for rental properties continues to grow from tenants, meaning those wishing to invest in the buy to let market, over the long term, might be on to a good thing? For advice and opinion on the Melton Mowbray Buy To let property market, give me a call on 01664 569700. 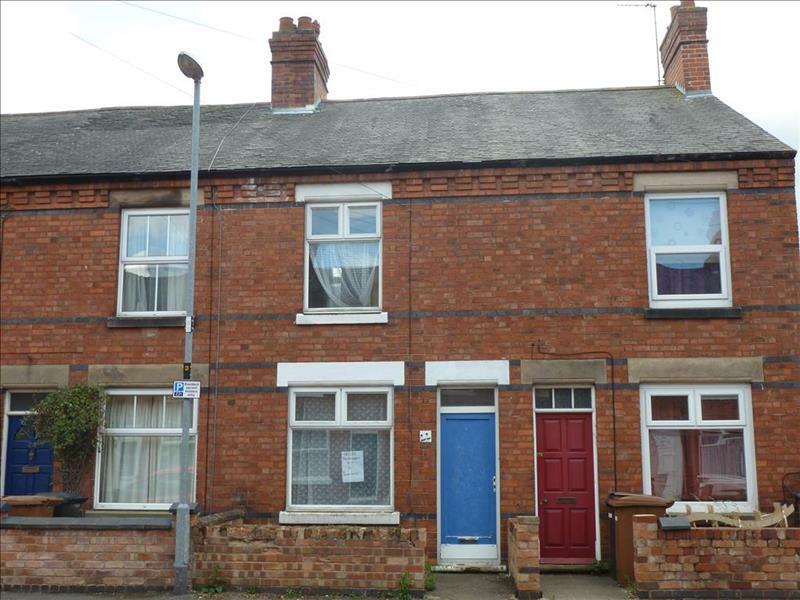 Melton Mowbray Buy To let – Bedrooms? Last week, a landlord from Melton Mowbray emailed me to ask, after reading the Melton Mowbray Property Blog, if he should extend his terraced house making an extra bedroom in the loft. He had a builder friend who owed him a favour, and thought a good way would be get an ‘inexpensive’ extension. Having more useable space is generally thought to be consistent with better quality accommodation and homeowners and tenants are prepared to pay for it. If you added a bedroom to a two bed terraced to make a three bed terraced, it will add 10% to the value of the property. Turn a three bed terraced into a four bed terraced and 9% will be added to the value. Looking at semi detached properties, and turn a two into a three bed and 12% will be added to the value, whilst making a three bed semi into four bed will add 9% in value. However, before you rush off to the planning department there are some important considerations, whether you are a homeowner or landlord. What would be the cost of making that extra bedroom? The average value of a terraced house in Melton Mowbray is currently £134,000 whilst the average value of a semi detached house is £162,200, meaning to make money the cost of the extension would need to be less than £12,730 on the terraced property and £17,031 on the semi detached house. Talking to a number of trades people in the town, most are booking up into the New Year. Also, no matter how good a friend he was, I know of no builders that would charge as little as that. Maybe the builder was just thinking of a bit of pointing work on the chimney! Well, that got me thinking about how bedrooms affected rental prices and rent-ability as well. Interestingly below, you will see that whilst bedrooms do have an effect on the rent that can be achieved and the rent-ability of the property – the difference does not warrant the expense, hassle and trouble of extending. If you want to increase the value of your property, be you a Melton Mowbray landlord or homeowner, there are things that cost a lot less than building extra bedrooms. Spruce up the exterior, emulsion all the rooms, install fresh carpets and curtains. For homeowners, a matter of a few hundred pounds will add thousands whilst for landlords, these things can add an extra 10% to the rent that you can achieve. For more advice and opinion on the Melton Mowbray Property Market, pop into our office on Burton Street or give me a call on 01664 569700. Harrison Murray are listing this property at offers over £130,000. These properties easily let now for £575 pcm and we may be looking at £595 pcm by the end of the year. They are popular with young professional couples and this one the finish of the kitchen is really good. At £575 pcm the potential return is 5.3% and it looks to be ready to let. Buttermere Close - a popular property for tenants. 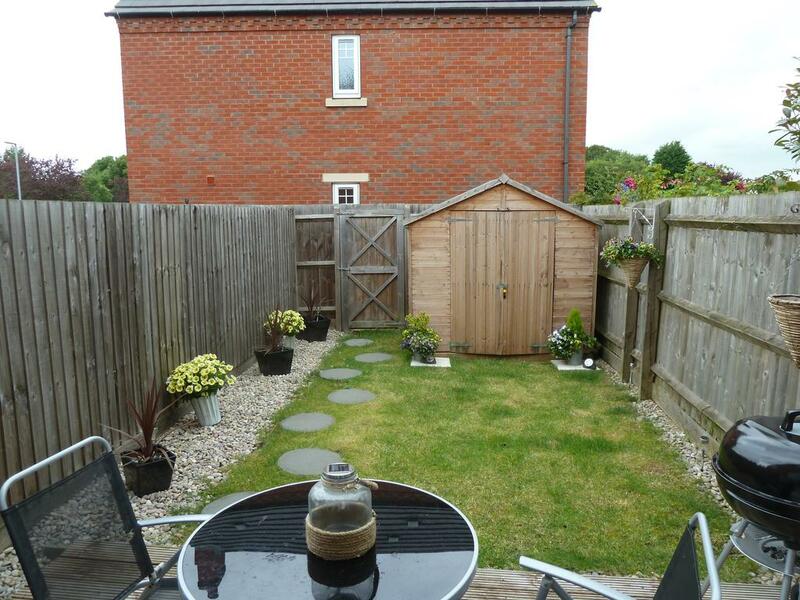 This recently built 3 bed semi detached property has just come on the market for £144,950 with Melton Premier and in the current rental market could achieve £625 pcm. When working out annual returns it would be wise to calculate the income at £595 pcm as they are easily reaching that figure. 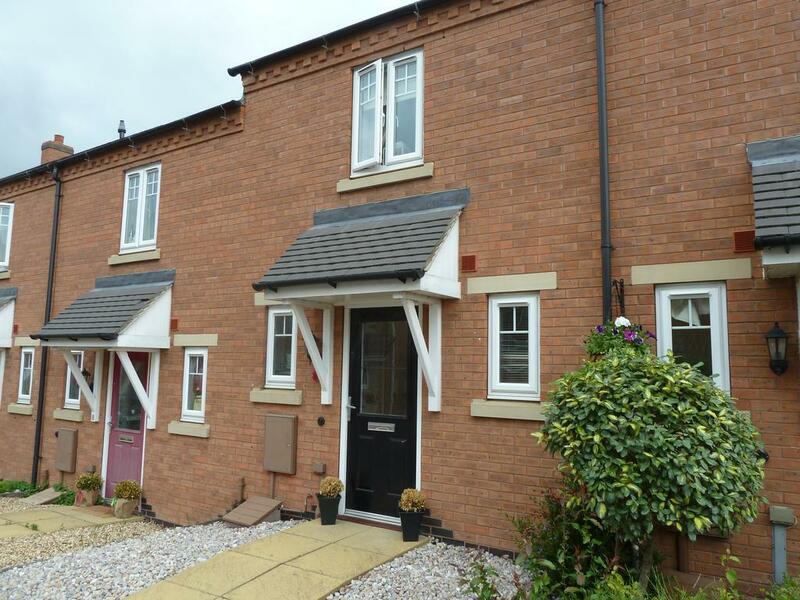 The demand from tenants for modern properties is growing as they are easy to heat and manage and with minimal new houses being built in the Melton Mowbray area houses like this let very quickly. Talking to an elderly relative recently, he reminded me that in his day, you could have bought a property for the same price of what a decent second hand car would sell for today. That his father was buying property for the same price as a decent 50 inch LCD TV! Now of course, these are only headline prices and we have had wage growth and inflation. Interestingly, since the Second World War, property values in Melton Mowbray doubled in 1961, 1971, 1975, 1980, 1988, 2000 and 2006. Looking at more recent times, since the start of the Millennium, these increases in property values have generated large increases in equity for many homeowners but on the other side of the coin also making housing unaffordable for other people. It might interest readers to note that most of Europe experienced sharp increases in property values in the early years of 2000’s, with only Spain beating us (although we know what has happened to the Spanish property market over the last few years!). In the 2000’s, the British situation was different in two regards. First the property value boom started earlier and saw more sustained increases, second, the regional pattern was fairly uniform. However, since 2010, the regional pattern has been completely different in the UK. Compared with 2007 (the last property boom), average property values today in England and Wales are 1.2% higher, whilst in Greater London, they are 35.7% higher, whereas in Melton Mowbray they are 5.12% lower. The London property market has been like a different country. Looking specifically at Melton Mowbray though, it has continued for first time buyers to get on the housing ladder. The best measure of the affordability of housing is the ratio of Melton Mowbray Property Prices to Melton Mowbray Average Wages, (the higher the ratio, the less affordable properties are). You can see quite clearly, even though we had an improvement just after the 2007 property crash (i.e. the ratio dropped), in subsequent years with Melton Mowbray house prices rising but wages not keeping up with them, the ratio started rise. This has meant there has been a deterioration in affordability of property in Melton Mowbray over the last couple of years. This is one of the (many) reasons why the younger generation is deciding more and more to rent instead of buy their own house. The local Council sold off council houses in the Thatcher years and for many on low incomes or with little capital, owning a home has simply never been an option. With fewer people able to save up the deposit required by mortgage lenders, more and more people are looking to rent, this has also resulted in a change in attitudes towards renting over the last decade. This delay in moving up the property ladder has driven rents up in Melton Mowbray over the last few years, as more people are seeking properties to rent. All these things have combined to make the demand for rental property in Melton Mowbray rise. 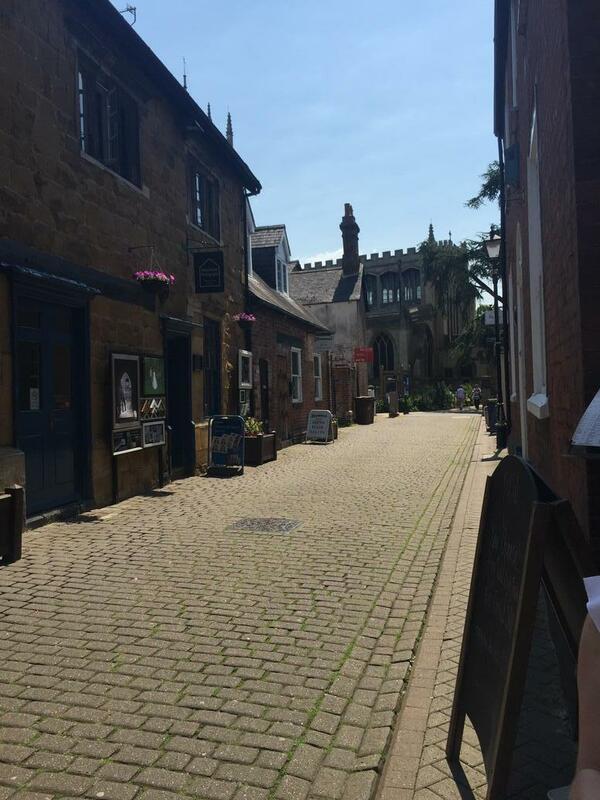 If you are an existing landlord or someone thinking of become a first time landlord looking for advice and opinion and what (or not to buy in Melton Mowbray), pop into our office on Burton Street or give me a call on 01664 569700. 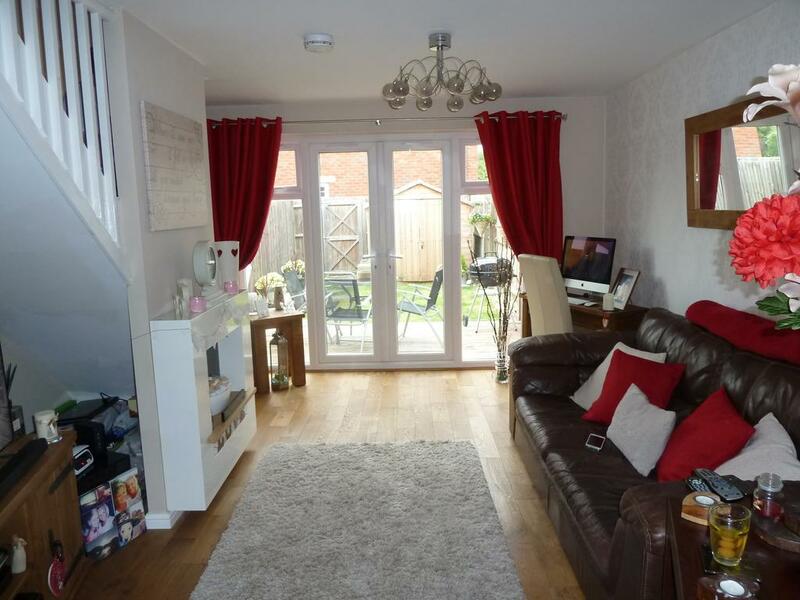 Harrison Murray have this 3 bed semi on for sale for just under £150,000. Its a great plot size so a good property for potential capital growth and looks to be in good condition inside. The property should let easily for £650 pcm giving a 5.2% return and would be really popular for families. 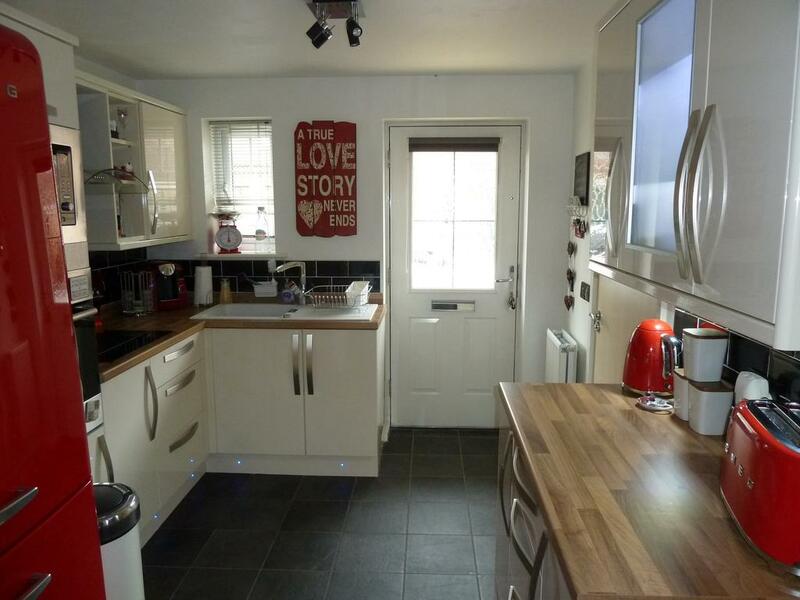 This property has just come on the market for sale with Middleton's for £92,000. There are no internal pictures yet so I am unsure of the inside but they are usually straight forward to refurbish if that's required. We have seen rents of £475 pcm for this style of property but in the current rental market and certainly by the end of the year I expect we could achieve £500 pcm. Well the dust has settled and the General Election seems a distant memory, we can get back to a more normal property market, or that is what the London based ‘Fleet Street’ journalists would lead you to believe. You see I have been talking to many fellow property professionals in Melton Mowbray (solicitors, conveyancers and one the best sources of info – the chap who puts all the estate agent and letting boards up in Melton Mowbray), and all of them, every last one of them told me they didn’t see any change over April in business, compared to any other month on the lead up to the Election itself. I am now of the opinion that maybe in the upmarket areas of Mayfair and Chelsea, the market went into spasm with the prospect of a Labour/SNP pact with their Mansion Tax for properties over £2,000,000, but in little old Melton Mowbray and the surrounding villages, there has been just one property sold above £2,000,000 mark in the last 7 years. In a nutshell, the General Election in Melton Mowbray didn’t really have any impact on people’s confidence to buy property. As I write this article, of 215 properties that have come on to the market in Melton Mowbray since the 2nd of April, 81 of them have a buyer and are sold subject to contract, that’s just over one in three (37.67% to be precise). I think that things are starting to change in the way people in Melton Mowbray (in fact the whole of the country as I talk to other agents around the UK) buy and sell property. Back in the 1970’s, 80’s and 90’s, the norm was to buy a terraced house as soon as you left home and do it up. Meanwhile, property prices had gone up, so you traded up to a 2 bed semi, then a 3 bed semi and repeated the process, until you found yourself in large 4 bed detached house with a large mortgage. Looking into this a little deeper like I have said in previous articles Melton Mowbray people’s attitude to home ownership itself has changed over the last ten years. The pressure for youngsters to buy when young has gone as renting, not buying, is considered the norm for 20 something’s. This isn’t just a Melton Mowbray thing, but, a national thing, as I have noticed that people buy property by trading up (or down) because they need to, not because ‘it’s what people do’. This does means there are a lot less properties on the market compared to the last decade. A by-product of less people moving is less people selling their property. My research shows there are a lot fewer properties each month selling in Melton Mowbray compared to the last decade. For example, in February 2015, only 39 properties were sold in Melton Mowbray. Compare this to February 2003, and 43 properties sold and the same month in 2007, 49 properties. I repeated the exercise on different sets of years, (comparing the same month to allow for seasonal variations) and the results were identical if not greater. So what does this all mean? Demand for Melton Mowbray property isn’t flying away, but with fewer properties for sale, it means property prices are proving reasonably stable too. Stable, consistent and steady growth of property values in Melton Mowbray, year on year, without the massive peaks and troughs we saw in the late 1980’s and mid/late2000’s might just be the thing that the Melton Mowbray property market needs in the long term. If you are considering investing in property please do not hesitate to give me a call or pop into my office on Burton Street. Reduced to £119,950 a great 2 bed property with loads of character features. This large 2 bed terrace property on Brook Street is for sale with Harrison Murray. It looks to be finished to a high standard and as I have said before the size of the rooms in these properties overcomes the short walk to the nearest car park. This should need very little work and would easily let for £575 pcm giving a potential return of 5.7%.